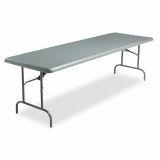 Iceberg IndestrucTables Too 1200 Series Folding Table, 96w x 30d x 29h, Charcoal - Folding table is made for heavy-duty use indoors or outdoors yet is 30 percent lighter than standard folding tables. Capacity is 2000 lb. evenly distributed. 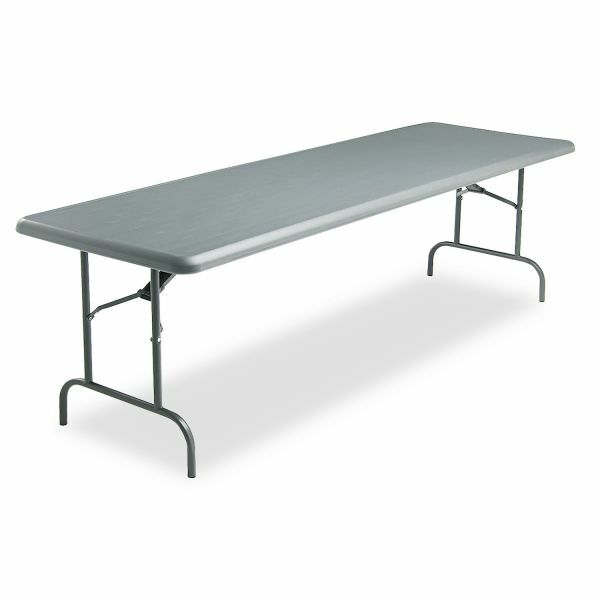 Tabletop is made of durable, blow-molded, high-density polyethylene that is dent-resistant and scratch-resistant. Tubular legs are made of heavy-gauge steel with a powder-coat finish. 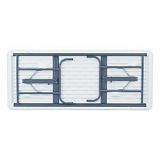 1" round legs fold into recessed cavities beneath the table. Folding table is designed to nest with other Iceberg IndestrucTable Too tables when stacking to allow maximum storage capacity. This table is perfect for any occasion including backyard BBQ's, graduation parties, birthday parties, wedding celebrations, sporting events, family reunions, school functions, and baby showers.